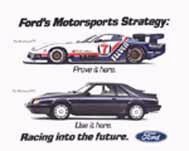 This is an informational sheet from Ford Training and Communications Department's dealer marketing handbook. 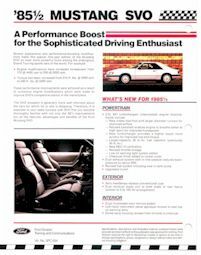 Dealers would use these pages to educate their sales people on the new features and benefits of owning the newest production models. 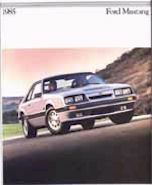 A quote from back of the page "The SVO prospect is generally more well informed about the cars for which he or she is shopping. 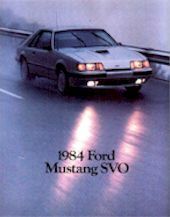 Therefore, it is essential to your sales success with SVO that you become thoroughly familiar with not only the 85� improvements but all the features, advantages and benefits of the Ford Mustang SVO". This piece of literature is fairly rare. SVOCA member, Scott Wigginton purchased this piece at the Ford Nationals in Carlisle PA during the recent SVOCA Reunion 2000. You may also view larger pictures in a new window of this important piece of SVO History. The file sizes are large and will take approximately 2.00 minutes each to download at 28.8. 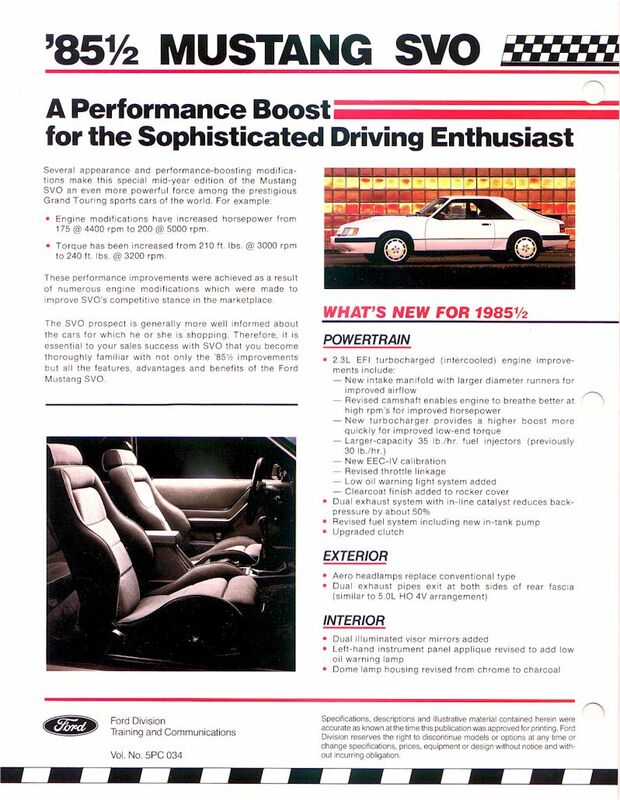 This is a quad- fold pamphlet that the sales people had to help sell the SVO. This gave them key points about performance and benefits of the SVO. Not many people have seen this item either. Thanks to SVOCA member Paul Becker for sharing this piece of SVO History. You may click on the links below to see the complete pamphlet. 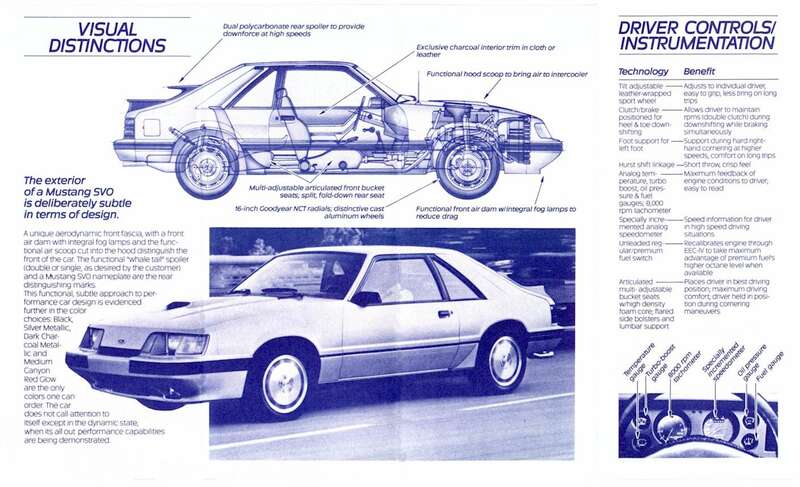 An advertisement taken from Ford's own magazine, the Ford Times. 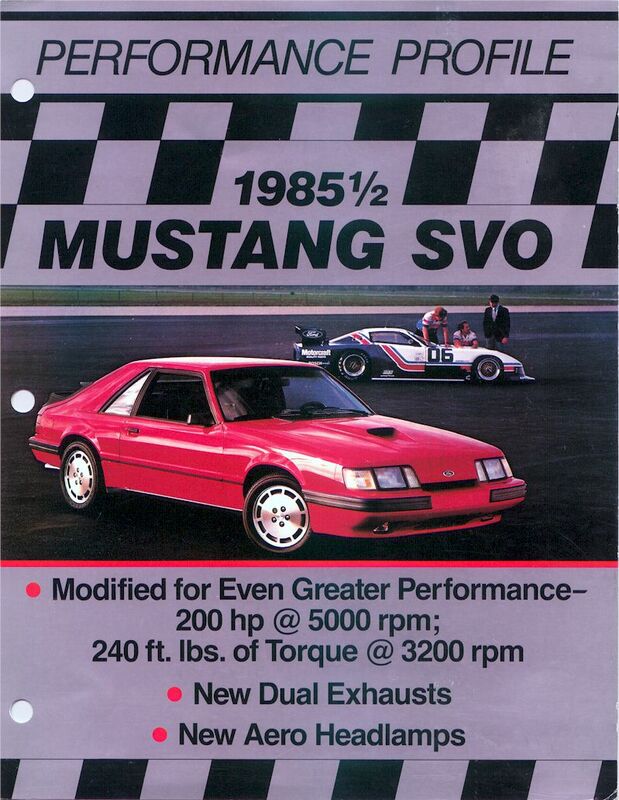 Showing that it took racebred research to build the Mustang SVO. 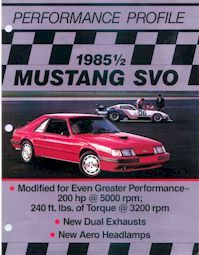 This was especially noted when Glen Lyall, Engineering Manager for SVO, who had been in charge of development and test driving the cars showed up at the 24 hrs at Nelson Ledges in 82 as a driver for one of the Mustang SVOs test mules. Testing in the publics eyes..the results would be incorporated into future cars for the ultimate benefit to the customer. ....."Racing improves the breed." 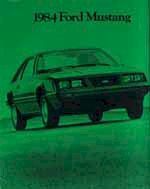 This is a picture of a marketing brochure Ford had sent out to Mustang club members and past buyers in an effort to lure potential new car buyers into the showrooms. 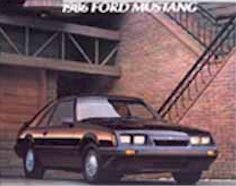 There was also a letter enclosed from the General Marketing Manager, "We invite you to stop by your local Ford dealer to review the Ford line and preview the latest Mustang....the Mustang SVO. As stated in our advertising, "This Machine speaks for Itself" when it comes to performance and handling." 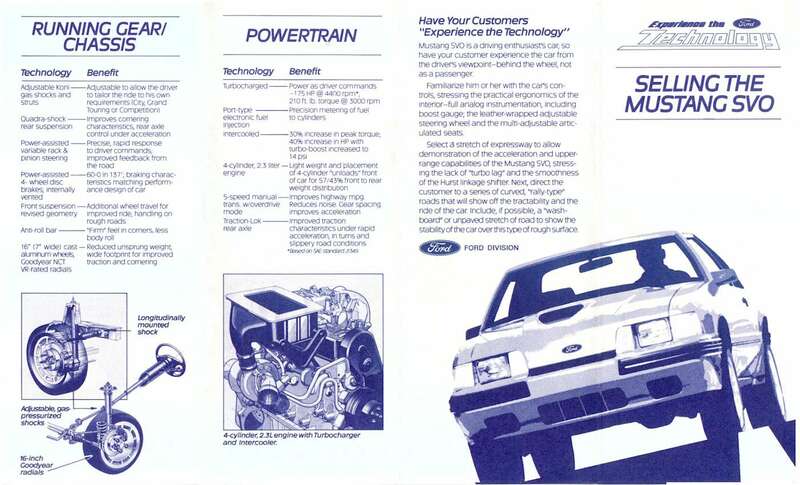 Postcards produced by Ford that were mailed out from the local dealership. From left to right 1984, 1985 and 1986.